So, why should you choose to visit Arizona Snowbowl? Well if you’re in Flagstaff, it’s the only ski resort close to town. Also, it’s fun. What other reasons could you need? Arizona Snowbowl is perched atop the San Francisco Peak Mountains. 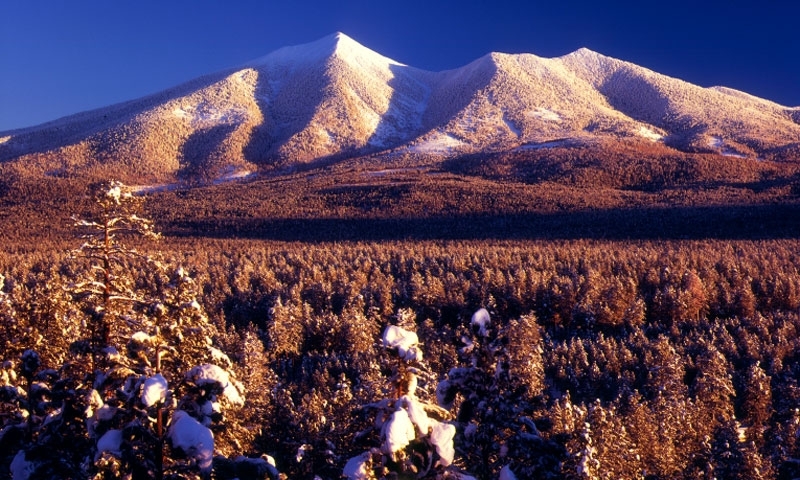 It is 14 miles north of Flagstaff, Arizona. Simply take Highway 180 for seven miles until you see the turn off for Arizona Snowbowl; it should be on the right hand side. When is Arizona Snowbowl open? Summer Hours: Monday-Saturday, 10a.m. - 4p.m. How much does it cost to ski at Arizona Snowbowl 2017/2018? There are also rental and lesson packages, which can be found on the website. What other activities does Arizona Snowbowl offer?